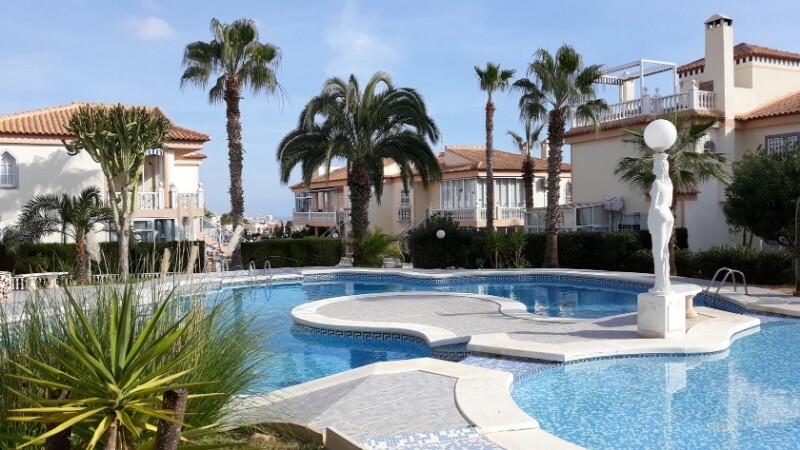 The access to this SE-facing property is through communal and private gates – a highly secure location. Once on the main terrace, you have a panoramic view over a park and the Mediterranean Sea as a backdrop. 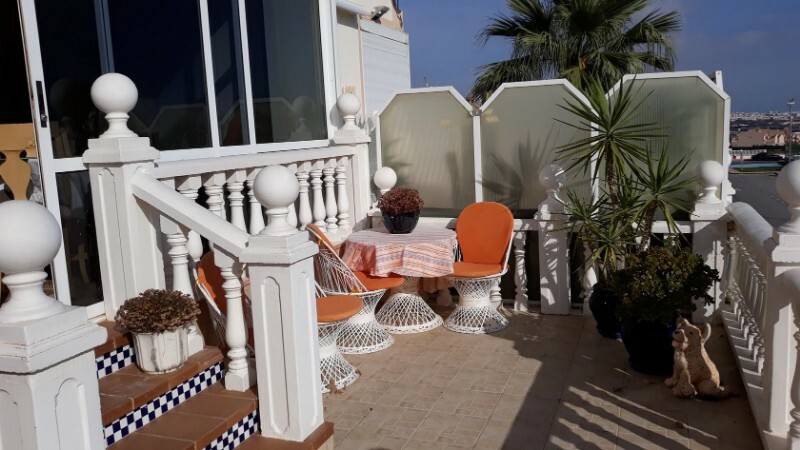 The spacious porch of the property has been glazed in to be used as a cosy second lounge. Entering the apartment itself, you arrive into an open-plan lounge-kitchen-diner with a working fireplace. Original built-in shelves, mirrors and exclusive Spanish granite worktops distinguish the traditional, yet modern style of this classy property. The kitchen with an island-style cooker arrangement is fully fitted with recently upgraded white goods. The two bedrooms and the spacious bathroom are accessed through a small central hall with an air-conditioner. The main bedroom has two fitted wardrobes, one on each side of the bed, and the back bedroom also has one. The back bedroom has double doors that give access onto a communal inner patio. 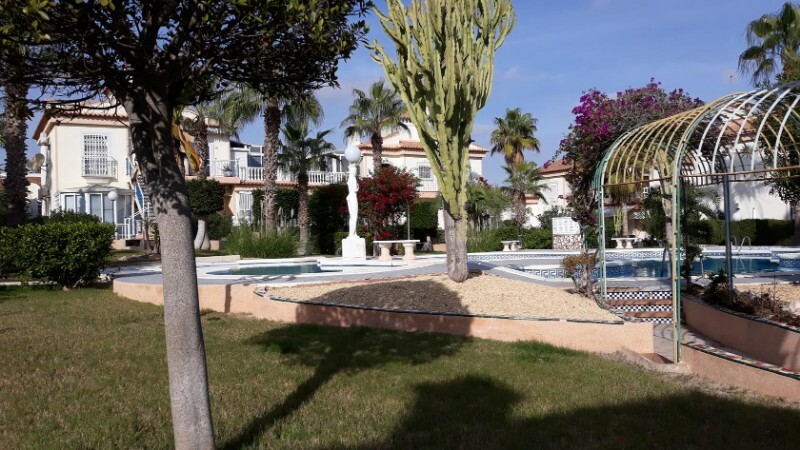 The property is situated in Los Altos, on the southern outskirts of Torrevieja, on the estate of Las Fuentes, where paved walkways surround a lush central area that features various ornamental details and a large central swimming pool. 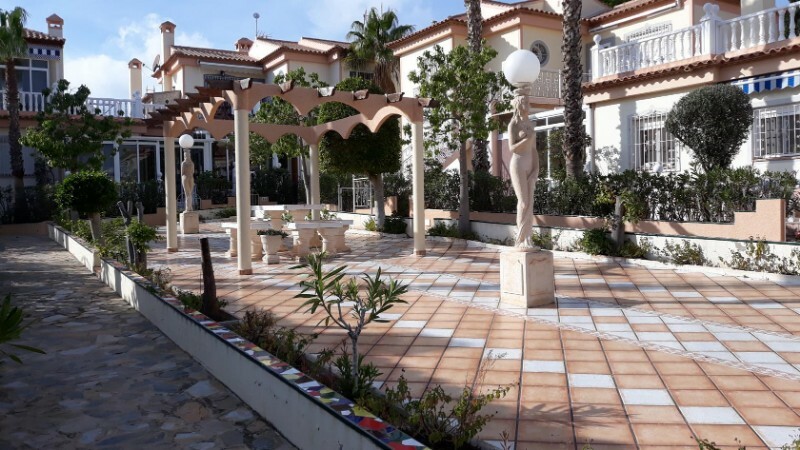 Just up the street from Las Fuentes you find the nearest shops and restaurants, and at less than a 20-minute walk there is a larger commercial centre including a Consum supermarket. The distance to the beach is 2.3km, a half-hour walk. 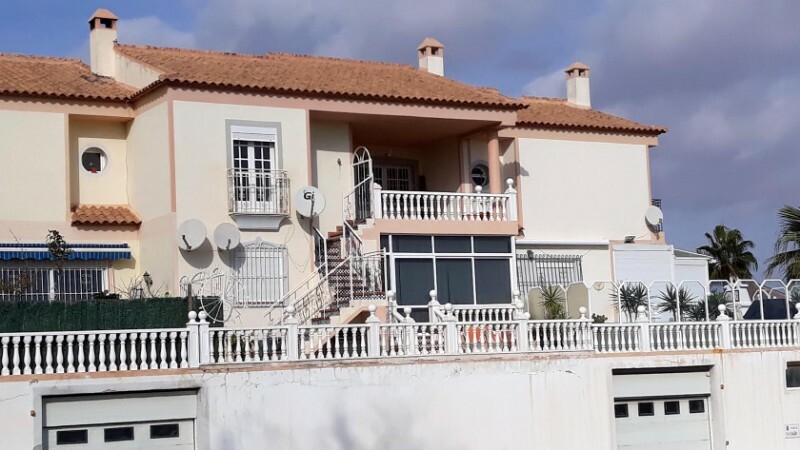 Price: €129,000 + taxes and legal fees (ca 12%). We are happy to send you on request a full cost estimate including the annual running costs.